Greenwood: Mississippi Memories, Vols. 1-4 Complete Set | Turnrow Book Co.
Greenwood residents past and present have rejoiced over the excellent collections of photos and histories from their hometown's great past. 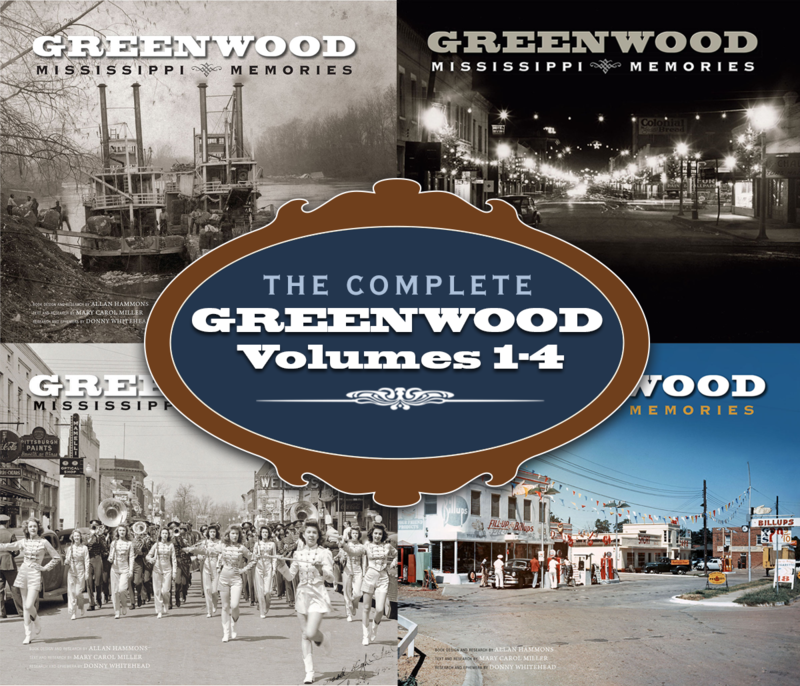 With this complete set of Greenwood: Mississippi Memories, vols 1-4, readers can enjoy the entire archive of photos, stories, and ephemera from Greenwood's very beginning through the mid-20th century. Signed sets of Vols. 1-4 are available upon request. Coordinating the schedules of all three authors can be difficult, so please allow extra time for personalized or signed copies.